Croatia is the stuff of dreams for many travelers. The calm, light, turquoise waters of the Adriatic Sea, the stunning pebble beaches on the coast, the acres of vineyards, and the centuries-old Medieval towns all make Croatia one of the most interesting and charming countries in Europe. This small country stretches out for almost 22,000 miles in total. But don’t be fooled by its size! Even though it is only the 127th largest country in the world and it only has 4 million inhabitants, Croatia’s landscapes make up for it. It’s hard to find a country with so much natural beauty to offer. Croatia has lakes, mountains, dozens of islands, and pebble beaches. Wherever you choose to go in the country, you’ll for sure be fascinated. Tourism is on the rise as more people think that now is the best time to visit Croatia. But the country has a long history of enchanting travelers with its natural gems. The Romans built summer villas on the coast of Croatia and came here for the perfect get-away from their ruling the Empire. People from the entire Balkan peninsula have been coming here for centuries to bask in the warm sun of Croatia. And now people from all over to world visit this small country in the Adriatic Sea! It has never been easier to get to Croatia and have the vacation of your life here. Airlines from Europe and the United States fly more often to one of the country’s airports, hotels have been completely renovated to embrace the modern times, and the roads connecting all the cool and once-inaccessible points of the country have been improved. If you’re planning a summer, spring, fall, or even winter vacation, it’s time for you to explore Croatia! To help you decide when is the best time to visit Croatia, we’ve put together this Croatia travel guide for you. When deciding when the best time to visit a country is, the weather will probably the first thing you’ll think about. No one wants to plan a beach vacation and then realize it will be raining and windy for most of their trip. To help you avoid these annoying vacation-ruining mistakes, we’ve put together this local travel guide. It tells you how the weather typically is in each region of Croatia, what are the best months to visit a certain location, cultural events going on in the country during certain months, and when to catch the best travel deals. We’ll help you figure out when the perfect time to go to Croatia is for you and help you figure out what to pack with you! The Adriatic coast is one of the many reasons people book their trip to Croatia — and for good reason! It boasts the best climate in the entire country, one similar to that of southern European countries: Mediterranean. Winters in the coast of Croatia are nowhere near as harsh as they are in Central Europe, for example. The southern Croatia coast has been blessed with mild winters temperature-wise but a lot of rain. January and February are the coldest months in the coast. During the day, you can expect temperatures of 11 and 12 degrees Celsius (between 52 and 54 degrees Fahrenheit). During the night, however, the temperatures drop to only 5 and 6 degrees Celsius (between 41 and 43 degrees Fahrenheit). But despite the temperature not being that low, the so-called bora takes tourists by surprise. This is one of the strongest-blowing winds in the world. It’s so strong that it sometimes closes down bridges and coastal roads! The summer months are the best time for a perfect holiday on the beach. The temperatures rise to a whopping 30 degrees Celsius (86 degrees Fahrenheit) and even higher during the day! The nights are much cooler and just right to go for nightly walks or go our partying to bars and clubs. You won’t see the temperatures drop below 20 degrees Celsius (or 68 degrees Fahrenheit), not even in the wee hours of the morning. There’s a good reason why so many people love going to the beach in the summer in the Adriatic Coast. During this season, the sea is warm and it’s common to see the water temperature rise to 24 degrees Celsius (or 76 degrees Fahrenheit) — very inviting for a swim! To top it all off, there are only, on average, 6 days of rain during the entire summer and a whopping 11 hours of average daily sunshine. What more could you ask for when you plan a beach vacation? Both spring and fall are the “middle” seasons. They’re not as cold nor as rainy as winter, but they aren’t warm and sunny all the time like the summer months are. The climate in the lowlands around Zagreb, in the northeast, and in the east of Croatia is much different from that in the coast. This part of the country has what is known as the Continental climate, meaning that it’s similar to that in Central Europe: the seasons are very pronounced and very different from one another. In the winter months, the temperatures usually plummet down to 2 degrees Celsius (35 degrees Fahrenheit) during the day, and at night, it’s not unheard of for them to drop below freezing. This makes this part of Croatia a great ski resort as the white, light snow falls down hard during the coldest months of January and February. Summers, on the other hand, are much more pleasant! During the day, the temperatures usually reach 27 degrees Celsius (80 degrees Fahrenheit) and even go above it. While nights are somewhat cooler, they’re perfect for strolls as the area isn’t known for strong gusts of wind. Another great thing about the summer is that it’s dry, unlike winter. You will most likely not see any rain during your stay in the northern and eastern parts of Croatia. The months of spring and autumn are always a surprising in-between and mix of the two seasons. It’s neither too hot nor too cold but there aren’t as many sunshine hours or as many days of clear sky. The mountains in the central part of Croatia, known as the Dinaric Alps, has what’s known as an alpine climate. While on the other side of the mountains, sunshine and mild winters bless the Adriatic Coast, the Dinaric Alps have cool summers and cool winters. During the winter, temperatures drop drastically to 5 degrees Celsius (40 degrees Fahrenheit) during the day and to below freezing at night. It’s not unusual for the nights to be very chilly — the thermometers often plummet to -3 degrees Celsius (or 26 degrees Fahrenheit). Summers, on the other hand, are much more enjoyable. They’re not nearly as hot as the summers on the Adriatic Coast, perfect for people who don’t want to get heatstroke. You’ll likely see forecasts of 24 degrees Celsius (75 degrees Fahrenheit) during the day — or even higher — and of slightly less at night. The cool summer breezes in this mountainous region make being outside much more tolerable than near the coast. Finally, the spring months (March, April, May) and the fall months (September, October, November) are an interesting mix of the summer and winter seasons. There can be quite a bit of rainfall in the area as well as mostly cloudy days. You also won’t find the warm summer days during these months either. As we’ve mentioned, the weather during the winter months can be quite different from place to place in Croatia. But the one thing all of Croatia has in common is that it sees its fair share of extreme weather. The months of December, January and February are great months to go to Croatia if you want an off-peak season winter adventure. Festivities lovers will adore Croatia during mid- to late-December. People in Croatia go all out to celebrate their holidays, and Christmas has to be the biggest one. Despite the weather being cold and rainy, you’ll still have a blast in any of the biggest cities of Croatia. Dubrovnik comes alive during the Christmas festivities. Every year, the main tourist attractions (Peskarija, Stradun, Pile, and Lazareti) are lit up with scenes from the nativity to dazzle spectators. This celebration is part of the fun and exciting Dubrovnik Winter Festival that lasts the whole month of December and a fraction of January. There’s no describing just how beautiful the city becomes! And, since it’s not that cold during the day, why not walk around the Dubrovnik wall ruins? You’ll most likely have them for yourself and they make for a perfect scenic view of the city. 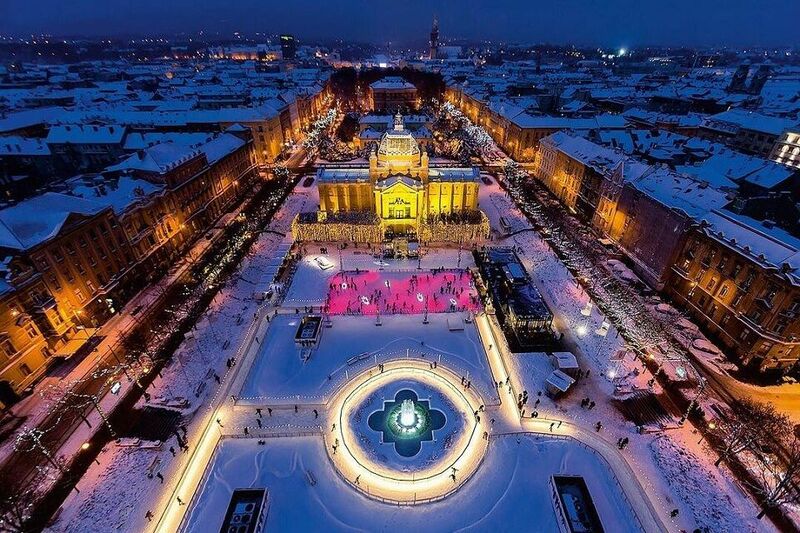 But Zagreb is the city that has the most Christmas events going on in December. Being the capital, it’s no wonder that the celebrations are even more intense here. Every year leading up to Christmas there are markets set up in the city’s squares. One of the best travel tips we have for you is: visit a Christmas market, try some local delicacies, have a hot drink to warm you up, and follow the Christmas lights across the historic city center! We believe this really is the best time to visit Zagreb, Croatia without going over-budget or bumping into crowds wherever you go. Another great month to see Croatia for city breaks is January. You can still feel the holiday spirit but the month is also the right time to avoid crowds. Because of this, it’s also one of the best months to go to Croatia if you’re on a budget, as you’ll find cheaper flights, accommodation, and other amenities. Early January is, of course, marked by the New Year craze. Walking around the biggest cities of Zagreb, Dubrovnik and Split, you’ll still see Christmas decorations and feel the Christmas spirit in the air. This is also the time when stores have the biggest sales, which is perfect for shopping addicts. Toward mid-January, most of the crowds have gone home. This is the ideal time to visit the city without running into hordes of tourists. You can walk along the ancient city walls of Dubrovnik and take in all the beauty of the city. If you’re a fan of ski, you’ll already know that the Snow Queen Trophy is fought every January in Croatia. People flock down to Sljeme in the north of the country to see world champions compete for the coveted prize. Since you’re in Sljeme, why not try to ski yourself? 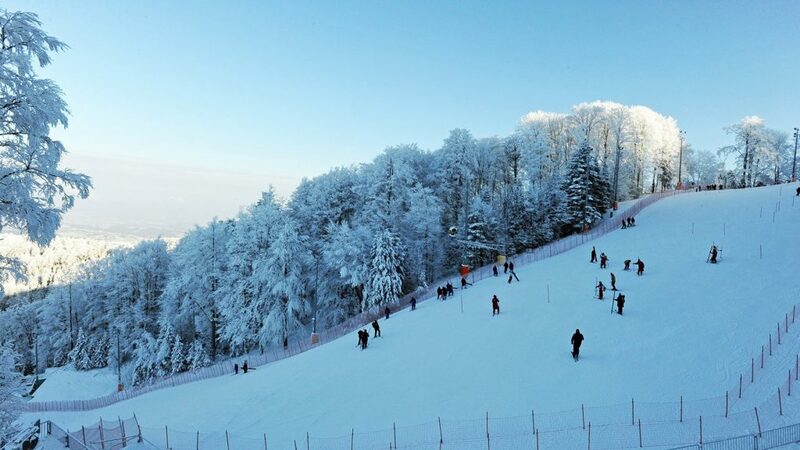 The Sljeme Ski Resort is only 15 km north of Zagreb and has great slopes even for beginners. There are five slopes in total, ranging from beginner-friendly to hard, and three lifts. The slopes have around 4045 meters in length (a little over 2.5 miles). This is where Olympic-gold-medalist Janica Kostelić learn how to ski! Another thing you’ll love about visiting Croatia in January is the annual Night of Museums event. For once night a year (usually the last Friday in January), the entrance fee to all museums is waved. What better time to visit the Glass Museum in Zadar, the Museum of Broken Relationships in Zagreb, or the Museum of Croatian War of Independence in Dubrovnik? If you love partying and immersing yourself in local folk culture, you’ll love Croatia in February. 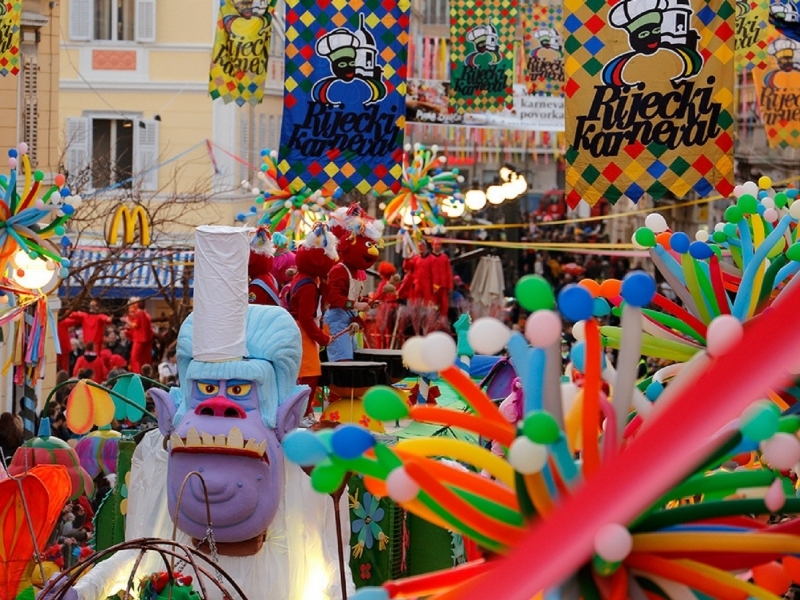 February is known for being the best month to enjoy the world-famous Rijeka Carnival. This festivity starts in mid-January and it runs until early-March. As you can see, the celebrations go on for a whopping three months as this is the largest Carnival in all of Croatia. Rijeka is a beautiful port town on the Adriatic Coast. During any other time of year, it might look like any other 19th-century European town — but not during the Carnival. People dress up in colorful costumes, organize parades, create large cars completely adorned, and laugh a lot. The Festival of Saint Blaise is another important and interesting happening in Dubrovnik. Saint Blaise is the patron saint of the city has its celebrations have been going on every year since the year 972. If you happen to be visiting Dubrovnik when the festivities are going on, you’ll most likely see mass processions and the relics of Saint Blaise. 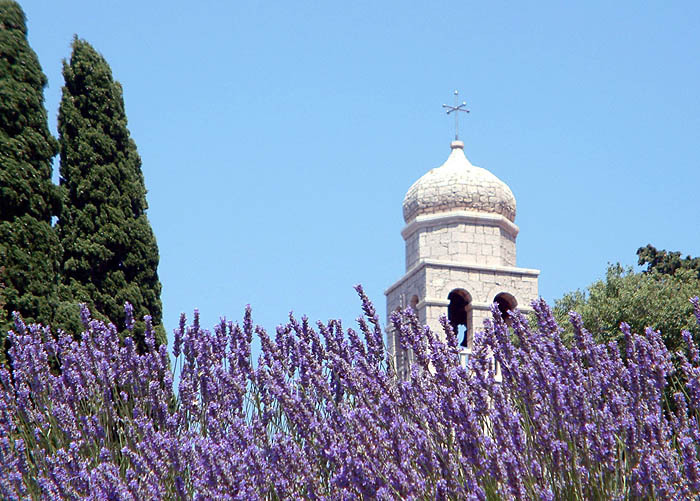 It’s a great insight into what religious and spiritual life is like in Dubrovnik. When spring comes, so does all the life that went to sleep during the three months of winter in Croatia. 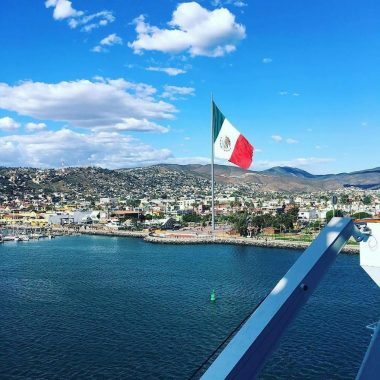 If you’ve never visited the country, now would be a great time to. The flowers and plants all start to bloom, and the snow starts to melt in the mountainous region and in the north. The spring months of March, April and May are good months to organize your trip on a budget. 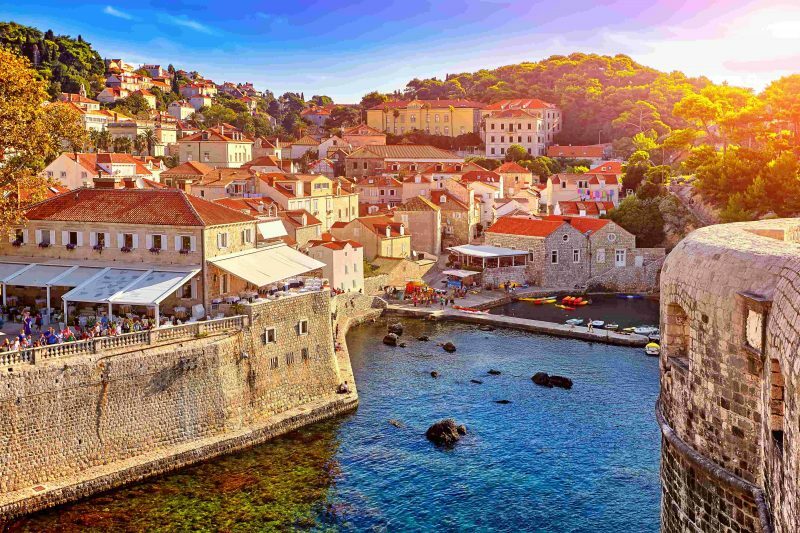 You should find cheap flights to Croatia and enjoy the relatively cheap accommodation options — especially in Dubrovnik, Split, and Zagreb. March is a great month to visit otherwise-packed tourist destinations. The main cities, in particular, are perfect this time of year. Because it’s not the right time yet for a beach holiday, there are very few tourists in the country in March. Take advantage of this by going on a city break in Croatia in March. We’ve already mentioned how beautiful both Zagreb and Dubrovnik are, but it’s never enough. These towns are extremely old and have so much history behind every single piece of stone. But there are many more cities worth exploring in Croatia. Split, for example, is one of them. Split is a town on the Dalmatian Coast, Adriatic Sea. 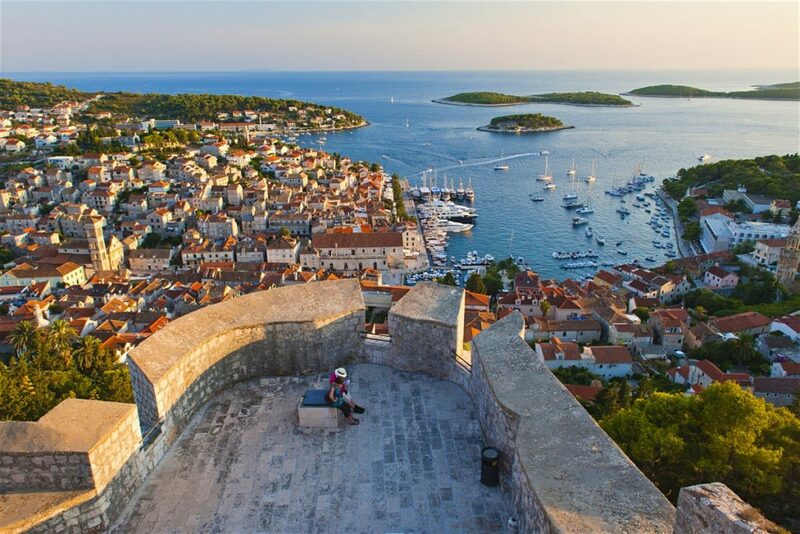 The city has been on this exact place since the 4th century, when Roman Emperor Diocletian erected a fort here. Even after all these centuries, you can still see and visit this palace! The palace hugs the city of Split where you can find a multitude of courtyards, Roman ruins, houses, hotels, cafes, shops, and even bars. Because of its location, March here isn’t very cold, certainly not as cold as most of Europe is at this time of year! 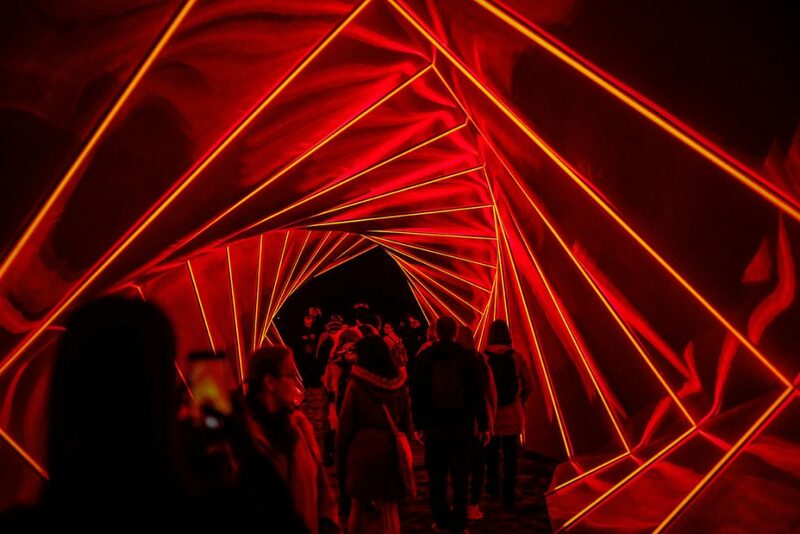 Another fascinating event not to be missed is the Zagreb Festival of Lights. For a week in mid-March, Zagreb is home to a spectacular light-projection show. The historic center of the city is lit up with audio-visual installations. Think of 19th-century buildings with gorgeous and massive façades being the background for the projection of stories told entirely through light and music — amazing, right? Every year, the theme is the same: renaissance. The event takes place in March for this exact reason too. Since March symbolizes the awakening from the wintery sleep and nature and cities come back alive again during this month, the light shows also make the buildings come alive. If you’re in Zagreb, make sure not to miss the viewings from 6 p.m. to 9 p.m.! While Croatia isn’t warm yet and only really brave people can go for a swim in the Adriatic Sea, there’s still plenty to do in April. You’ll especially notice how green and colorful everything is. After all, this is when spring is in full swing! April is a great time of year to do a custom-made trip by train or car to explore all the nooks and crannies of Croatia. There is so much to see and April, being a shoulder month, will be easy on your wallet. Hotels and tourist attractions are not yet full, so you’ll feel like you have the country to yourself with no queues and no absurdly high prices. 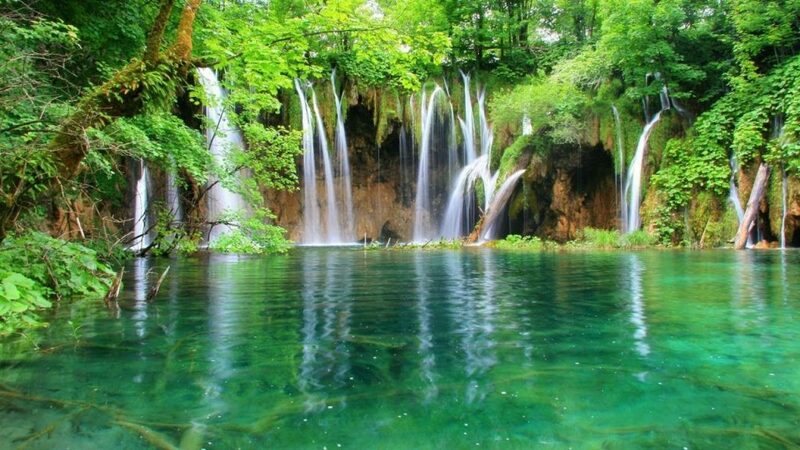 We highly recommend taking a trip to the Plitvice Lakes National Park. The park is open year-round, but April is when it comes into itself. The waterfalls start to run once more, enchanting all visitors, the mountains are covered in green again, and there are stunning flowers blooming everywhere you look. It’s one of the coolest attractions in Croatia, especially if you’re a nature lover! Lastly, the weeks between late-April and early-May are the perfect excuse to pay a visit to Croatia for wine lovers. Poreč is a coastal town in the county of Istria that is famous for its amazing wines. The celebrations going on celebrate wine and the region’s lifestyle. Visit this lovely little town and taste the Malvazija wine that they’re famous for producing locally. It’ll warm your body right up! The last month of spring is, in our opinion and according to many travel experts in Croatia, the best time of year to visit Croatia. It’s the very last full shoulder month when you can still take an advantage of cheap accommodation and flights and no hordes of tourists. This is the perfect time to take a ferry to the Island of Hvar and enjoy the island for what it is: a gem in the Adriatic Sea with unparalleled architecture. The winding, narrow streets and amazing weather during the shoulder and summer months make Hvar island a hotspot for partiers. If you want to get away from the party scene, May is a great month for venturing more inland. The towns of Jelsa, Stari Grad, and Vrboska will give you a whole new perspective of life in the Dalmatian villages. Another great holiday in Croatia in May is going up to the mountains. Sure, the weather is still a little chilly and you’ll need a coat and maybe a scarf, but nothing beats the fresh air of the Croatian mountains. If you want to get in touch with nature and take a break from life back home, then May is the month to travel here. Everyone knows that June, July and August are the peak season in Croatia. The temperatures go way up, the sun shines almost non-stop for the 11 hours of sunshine every day, and the Adriatic Sea becomes warm and inviting for a swim. 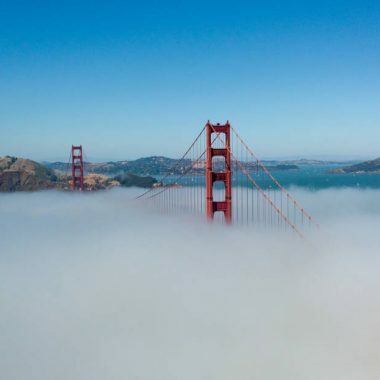 While June, July and August have the best weather, this is also when the cities and beaches flood with crowds of vacationing locals and tourists. This makes all the prices (for plane tickets and accommodation) sky-rocket. If you’re not looking to travel within a limited budget, the summer is the best time to visit Croatia. If you love music festivals, you won’t want to miss one of Croatia’s largest festivals. INmusic is a summer festival that happens every year for two to three days in a hip neighborhood of Zagreb, Jarun. This once-peaceful neighborhood that’s full of nature comes alive when hundreds of thousands of festival-goers flock here. The billboard is always dominated by big international names, such as Queens of the Stone Age, David Byrne, Nick Cave & the Bad Seeds, Interpol, Portugal! The Man, and many more. June is also a great time to hit the beaches on the Adriatic coast. The sea is warm after a long winter and spring and ready to welcome beachgoers from all places. You won’t find sandy beaches as you do in Spain, Portugal or Italy, but something much more special. Beaches in the Adriatic coast have large and small pebbles instead of sand. It’s quite an unusual sight if you’ve never been to one of these beaches, but totally worth it. If you’d rather go more mainland, June also has you covered. June is the month when the lavender fields the country has are in full bloom. Whether you’re driving along the highway or you’ve chosen to take the train, don’t miss out on the stunning view that is seeing miles and miles on end covered in a deep purple hue. During July, a lot of tourists drive to Croatia from Italy, which can make the cities and beach towns even more crowded. A fantastic alternative to busy cities and villages are the car-free islands of Lopud and Zlarin. For cyclers especially this will be a great trip. They’re not as crowded as other neighboring islands and the weather there in July is absolutely perfect. You can take your bike for a ride around the islands since it’s summer and nature is at its finest. If you’re into partying, then July is just the month for you, with all its nightlife. The island of Hvar is the perfect example of what the party scene is like in Croatia and the Dalmatian coast. Every night there are clubs where famous DJs perform to thousands of people who dance the night away. Another cool thing to consider when visiting Croatia in July is partying on a boat. There are several party cruises that sail every evening and only come back to shore in the early morning. It’s a great way to meet other travelers who share your love of partying and a chance to chat with a local about the party scene! Finally, if you’d call yourself a party animal, don’t miss the Ultra-Europe music festival. Split is home to one of the biggest electronic music festivals in all of Europe, and every July without fail the house is brought down by big DJs. Hardwell, David Getta, Afrojack, and Avicii are just some of the many DJs who have liven up the party here in Split during the month of July. The most peak month of traveling in Croatia is August. The prices of everything are through the roof and the country is crowded, but nothing beats the things Croatia offers in August. August is the best month to sightsee in Croatia and stay close to the ocean. If you’re visiting the coast, you’ll soon realize just how hot it gets both in the day and at night. 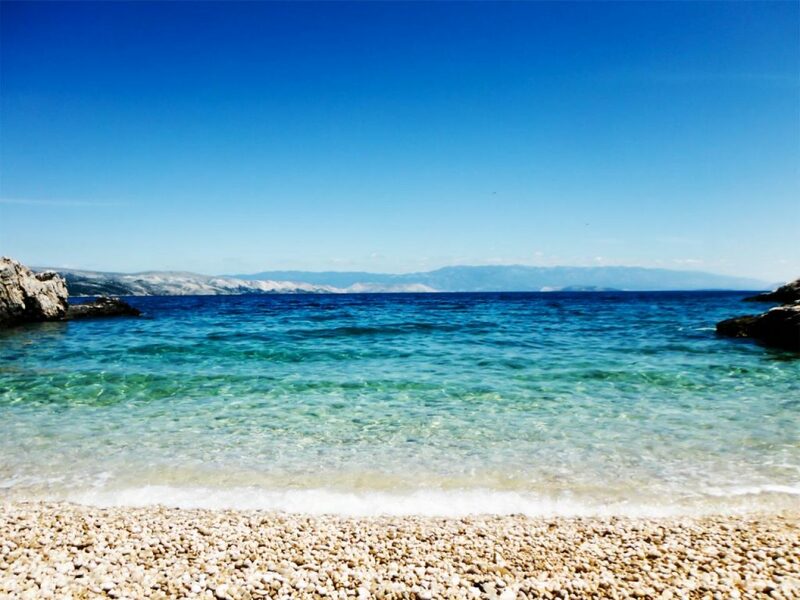 This gives you the perfect excuse to go for a swim in the crystalline waters of the Adriatic Sea. Another great way of cooling down is practicing water sports. Croatia has lovely beaches that are perfect for water sports. Snorkeling, speed boating, kayaking to discover the many caves, and jet skiing are all great ways to make your vacation even better. August also brings with it the Dubrovnik Summer Festival. Art and music displays are spread around the city so that visitors can absorb some more of the local culture before they depart. During the course of six weeks, there are also countless artists performing live, for free, in open air on the streets of Dubrovnik. If you love culture and the arts, we’re sure you’re going to love the Summer Festival. 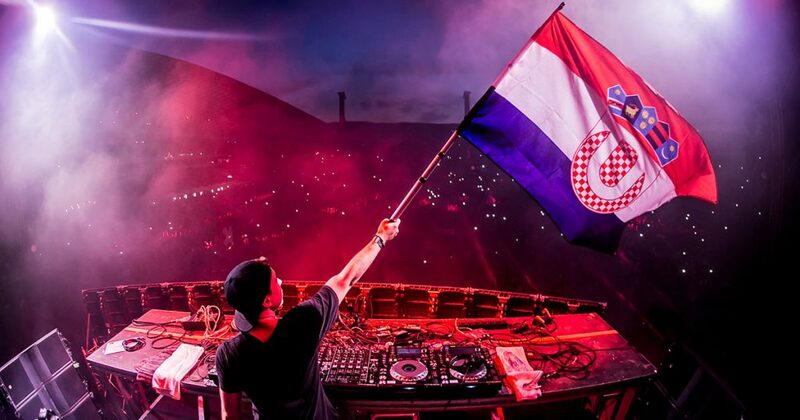 Finally, there is yet another festival blesses Croatia. In the Dalmatian coastal city of Zadar, there is a festival every year dedicated to foodies. Local traditional and modern cuisine are put on display for all to savor. It’s the best opportunity you’ll get to experience local delicacies, such as figs, countless types of cheeses, and the best seafood you’ll have in the Balkans. During this festival, the island of Riva gets completely transformed. The small boats are used as ambulant markets of the freshest ingredients grown or caught in the region. September, October and November are the months when everything starts to calm down in Croatia again. The days become shorter, the temperatures coolers, the days of sunshine fewer, but the cultural events in Croatia keep going strong. The weather during these months gets progressively colder until winter engulfs the whole country once more. It also means that the hordes of tourists go home and the cities become much quieter. These are what’s known as the shoulder months and they’re the best time to visit Croatia on a budget. The month of September is great for exploring Croatia culture-wise. There are dozens of festivals and festivities that celebrate the traditions of all regions of Croatia. In the town of Poreč, there’s a festival dedicated to history for three days during September. People dress up in Baroque-style costumes and try to mimic to the viewers what life was like back then. The festival, known as Giostra, is the perfect chance to learn all there is to know about Croatia in the 18th century. There is even a knight tournament that is held at the end of the celebratory period that perfectly replicates the ones from 1745! If you’re a film buff, you’ll love hearing that the Split Film Festival takes place in September. This is an international film competition that lasts a total of one week and gathers some of the most innovative and interesting film directors in all of Europe. Finally, the Food Film Festival that is held in Zagreb in September mixes two fan favorites: food and films. Over the course of a week-and-a-half, the movies shown in several Zagreb theaters focus on gastronomy. If you’re both a foodie and a film buff, you won’t want to miss out on the Food Film Festival in September. October in Croatia is as close to the saying “getting back to the roots” as possible. All the crazy of tourism has come and gone and now only locals can be seen wandering around the major cities and going about their lives in rural towns. 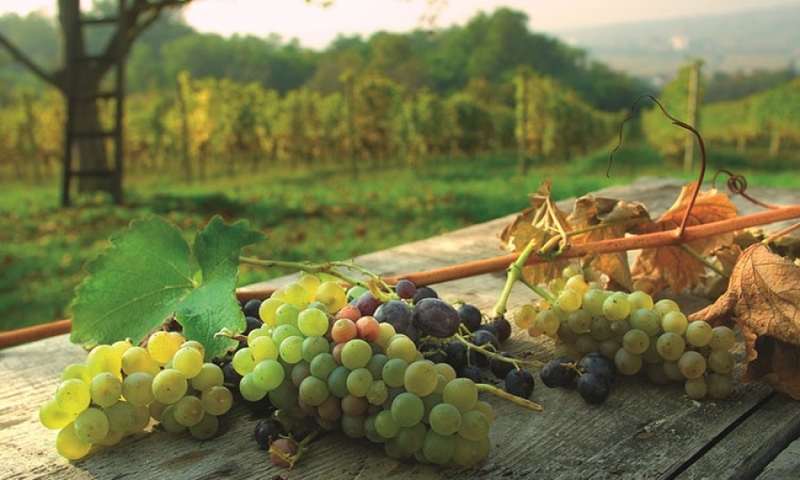 The month of October is when grapes start being harvested to be later turned into famous Croatian wines, such as Plavac Mali. The fact that in rural areas it’s time to harvest all the crops makes October a great month to go on a self-drive tour by car through the countryside. In Istria, there’s another food festival that blows foodies’ minds away. 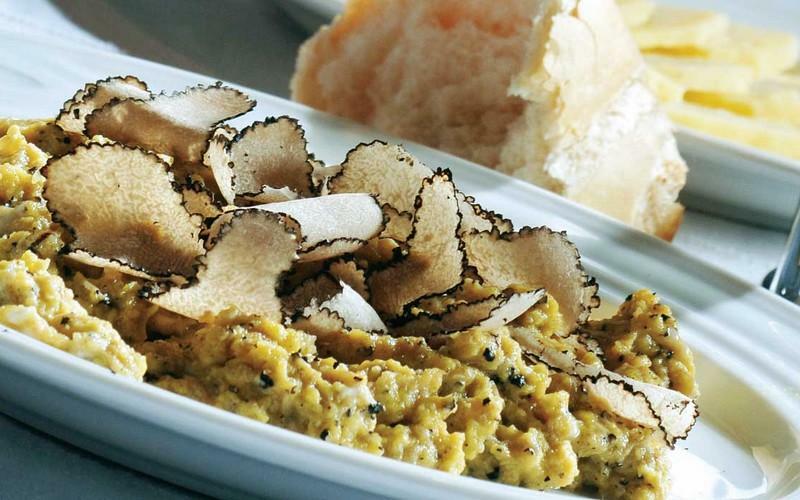 The Istrian Truffle Days showcase the best truffles the Balkans have ever seen. Restaurants in this area take the local truffles and incorporate them into dishes to make them great. Try having a truffle omelet, a truffle risotto, and a truffle salad for a great price and dive into the local gastronomic culture! It’s also the perfect time to visit Livade and Motovun, two beautiful towns close to the Slovenia border. In November, the weather has become wet and cool. This makes traveling in November somewhat unpleasant if you were planning on being outside. However, it’s the perfect chance to dive head first in the Croatian cultural scene. Saint Martin is a holiday celebrated in many European countries on November 11. It has religious roots but nowadays it’s more of an excuse for people to drink warm wine and eat chestnuts and sweet potatoes. The dish of the day if goose, which is slaughtered and roasted all in the same day. The towns of Tar, Vrsar, and Buzet are the places to go if you want to live this day to the fullest. November 1st is All Saints Day in Croatia, yet another religious holiday. But this one is lived with much more attachment to religion. On this day, people go to their loved ones’ graves to place flowers and candles as a symbol of their love. If you’re interested in finding out more and seeing a Croatian cemetery, try visiting one when the commotion dies down. But don’t forget: always be respectful — this holiday means a lot to Christian Croatians. When is the best time to visit Dubrovnik, Croatia? You’ll get the best picture of Dubrovnik during the shoulder months of May and September. The weather isn’t bad at all and you’ll actually get to move around in the city without bumping into other tourists. The only official language in Croatia is Croatian. While not everyone speaks English, especially not the older generations and people in small towns, you can still get by relatively easily using English and by learning a few Croat words. The Croatian Kuna is the official currency of Croatia. But because the country is part of the European Union and is used to a heavy influx of tourists, some places in the major cities accept Euros and American Dollars as well.